Hanover Park is a neighbourhood where young people don’t have many alternatives in life. It is an impoverished area, with many people living with very little space or resources. Crime and drugs are prevalent and affect everyone in the community. It is a struggle to keep the youth out of gangs and violence. Enter ActionArte. 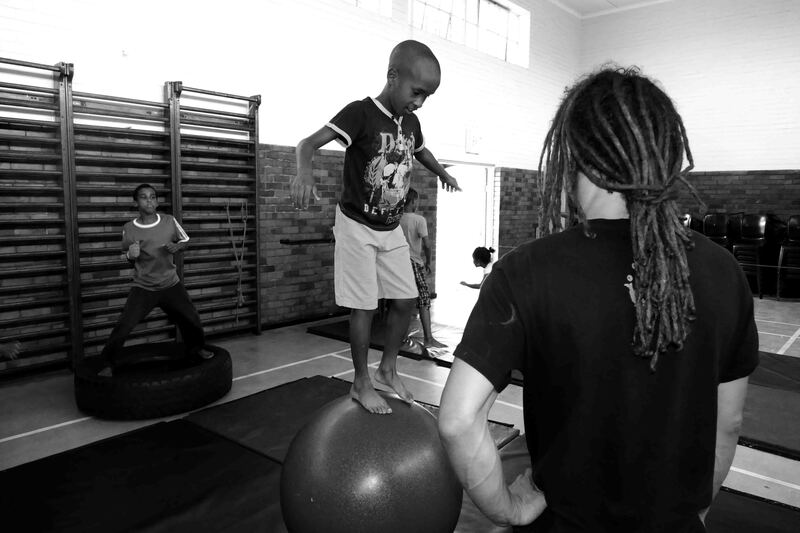 Their goal: creating new alternatives for the youth of Hanover Park though circus. 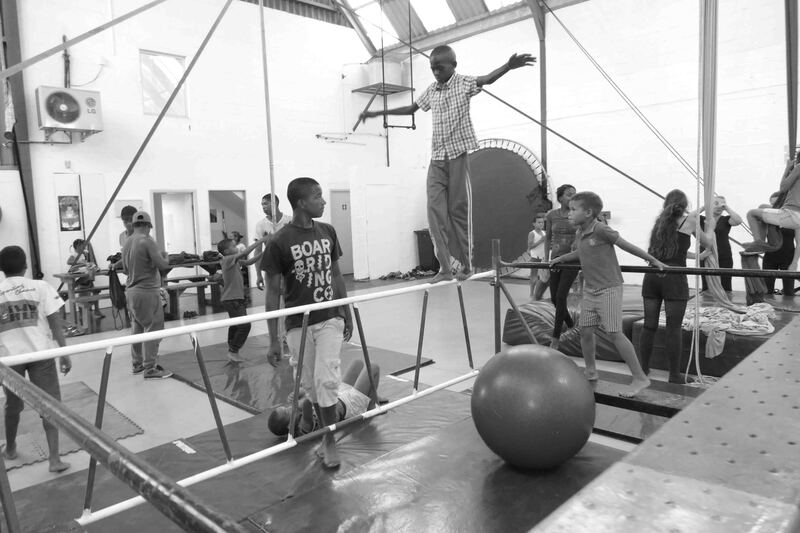 The idea of introducing social circus to Hanover Park is to create an alternative to what the youth experiences regularly. Personal and social development are the primary goals. ActionArte use creative methods for social change. 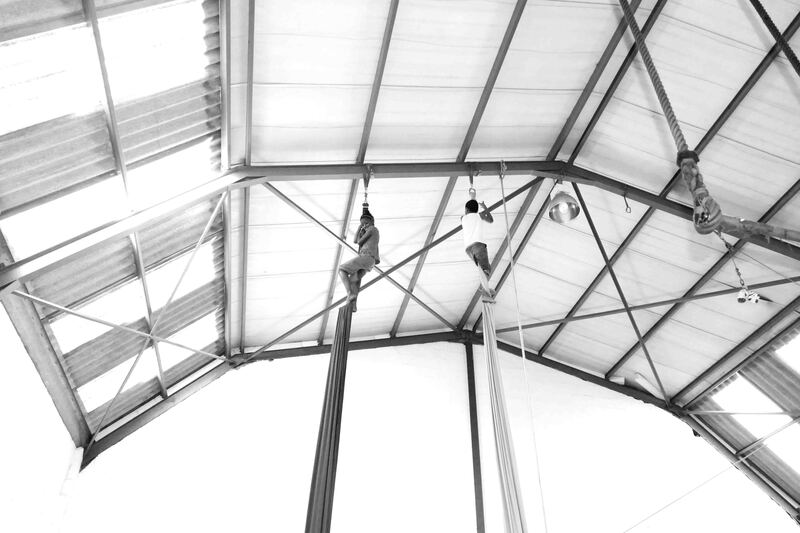 Students learn to work within the rules and routines of the circus space. These lessons will help shape their lives outside of the school. 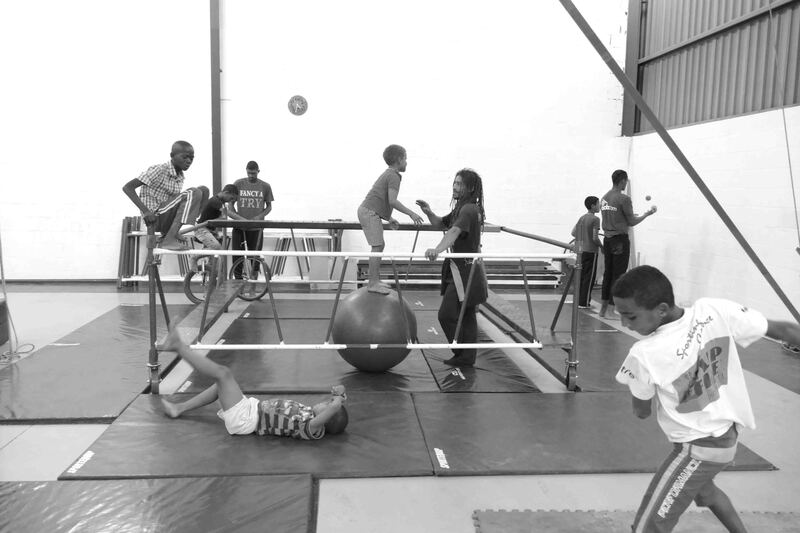 Social circus allows students to learn and have fun. Students learn to understand that everyone is equal, and that one has the capacity to listen and communicate with everyone to create a positive future. ActionArte hopes to break the borders inside Hanover Park. The goal is to begin similar projects in other areas as well, to make a difference to young lives in disadvantaged areas by contributing with arts, culture and people. The workshops are open every Tuesday from 14.30-16.30 pm. 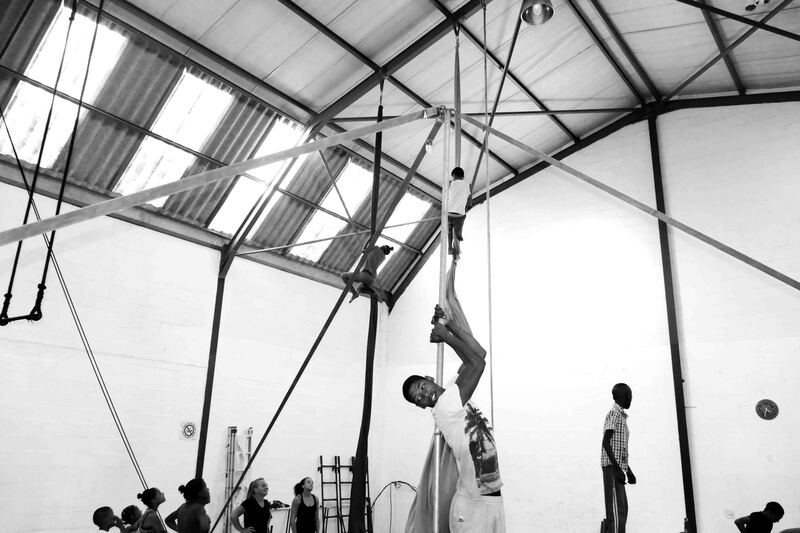 Every Friday from 14:00-17:00 pm a group goes through to ActionArte’s building in Observatory to further their circus skills on a higher level. December: ActionArte takes the community workshops out into the open air and makes it available to the public as an end of the year event. It is a way to attract more children in the area for the following year. It demonstrates what they are doing in the community centres and lets the youngsters inspire others by performing in a small show. For the past 3 years it took place in the skate park of Hanover Park. 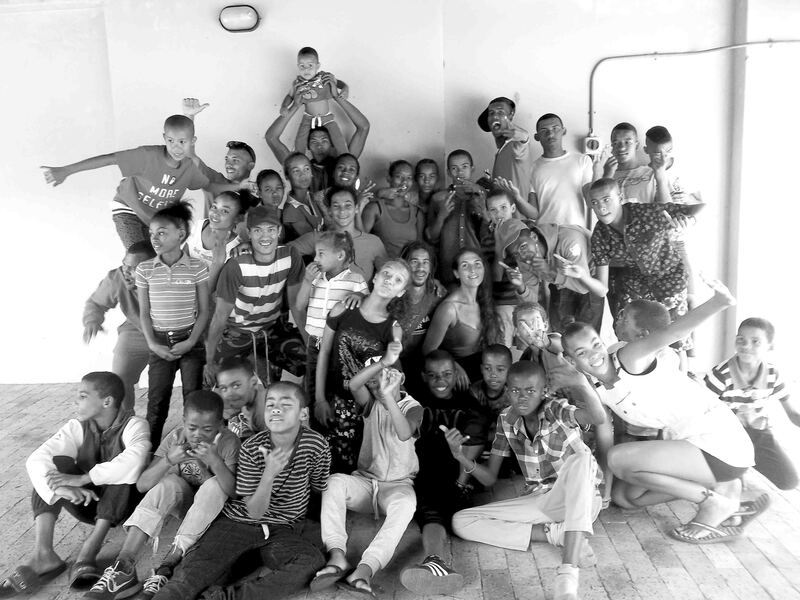 ActionArte regularly takes their Hanover students on outings to see circus inspired shows or events around Cape Town. Every June they organise a production in the community centre for family, friends and any others interested. 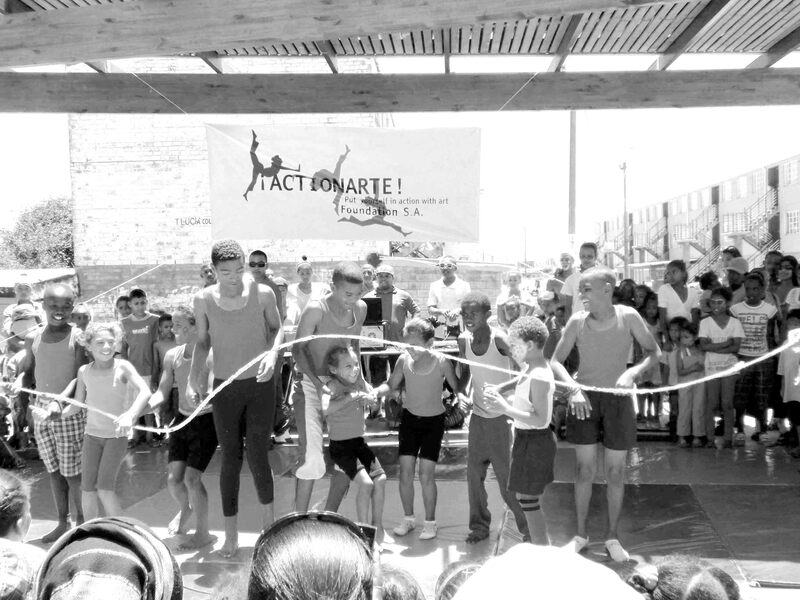 It is a show where the children are able to demonstrate their skills. The Social Circus Network started in 2013, where ActionArte together with ZipZap and Sisoke made it possible for a yearly convention to take place. Each year each program brings thirty kids together in a combined production. The Social Circus Network takes place each year on the 16th of June, Youth Day, and in 2016 it was hosted by ActionArte in Hanover Park at the Civic Centre. Zip Zap Circus will be hosting the event again in 2017. We wish to be recognized by educational, art, culture and social development bodies; to create strong, positive, self thinking, creative citizens a that can and will make the better future of South Africa and the world. 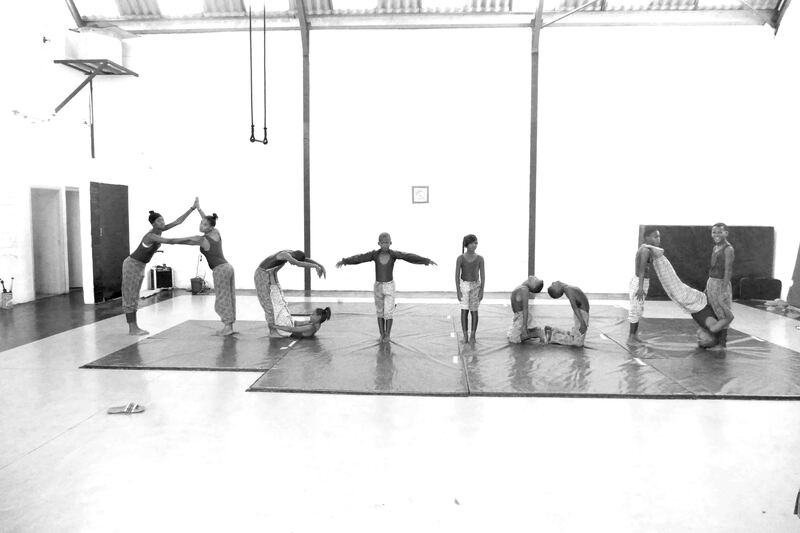 To encourage personal and social development in the youth through circus arts. 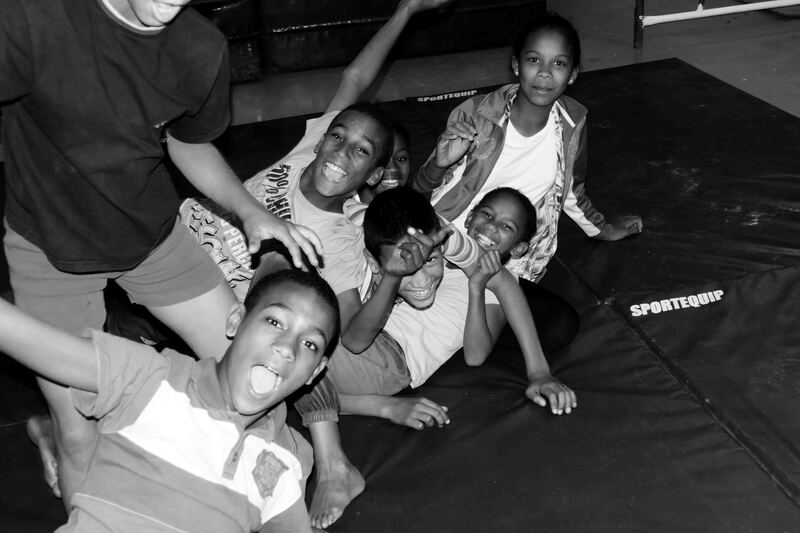 To provide a safe place outside of the realities of everyday life where the youth can be free to express themselves. 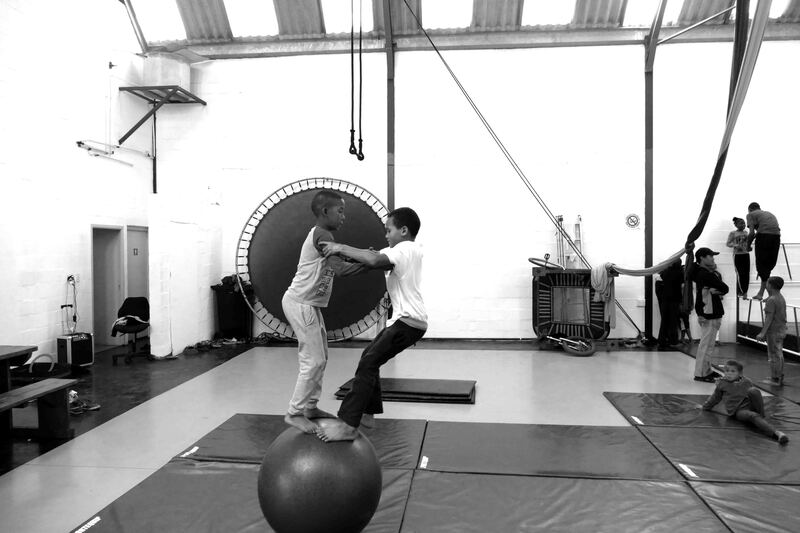 To impart knowledge of physical training and various circus skills. To create a framework for continued advancement, future growth and future opportunities for the youth in the project. Respect, concentration, co-ordination, co-habitation, physical skills, learning, listening, forming, expressing, creating, safety and non-violence, the ability to set rules and learn about boundaries, giving and taking of responsibility, the formation of routine, the understanding of others regardless of differences (origins, age etc. ), motivation, personal growth and self-esteem. The project also aims to support exchanges with other areas in the neighbourhood. Warm up games are used in order to let go, open up and get in touch with others and the space. Games are used in between exercises in order to stay focused and to introduce activities. 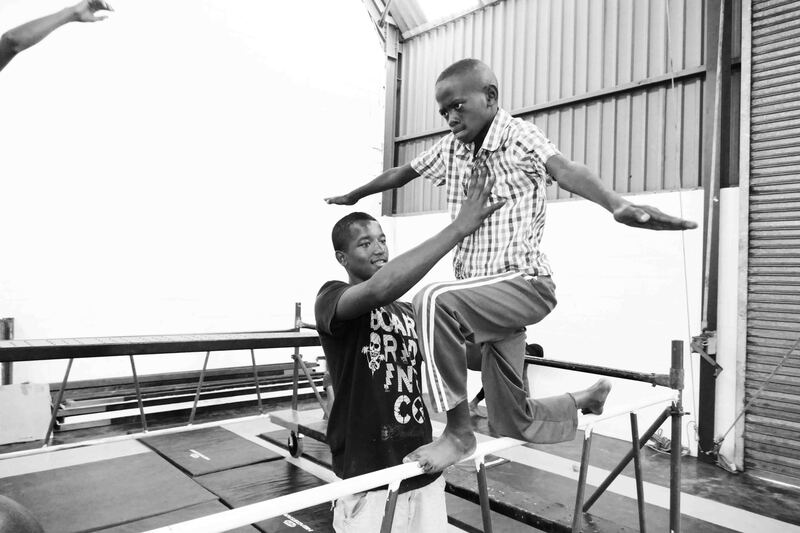 Acrobatics are used to learn to control and get students to know their bodies, and release energy positively. They learn to make contact, find trust and security in themselves and in others. Through training students learn to understand personal health and respect. It is an ideal practice to learn to master fears and take risks while keeping focus and concentration. In theater performance students find confidence to speak, to be on stage and to accept failures and victories. Theater allows for the imagination to flourish, for students to create and to believe in themselves and their voices. Theater teaches effective communication, observation, reaction, attentiveness as well as listening skills.. In learning adagio and pyramids students learn to find confidence, and to understand and appreciate their function in a group. They learn to use physical strength to care for others instead of inflicting violence. The practice of juggling teaches students co-ordination, concentration, rhythm, memory, patience and posture. It also gives an understanding of new ways to using things. 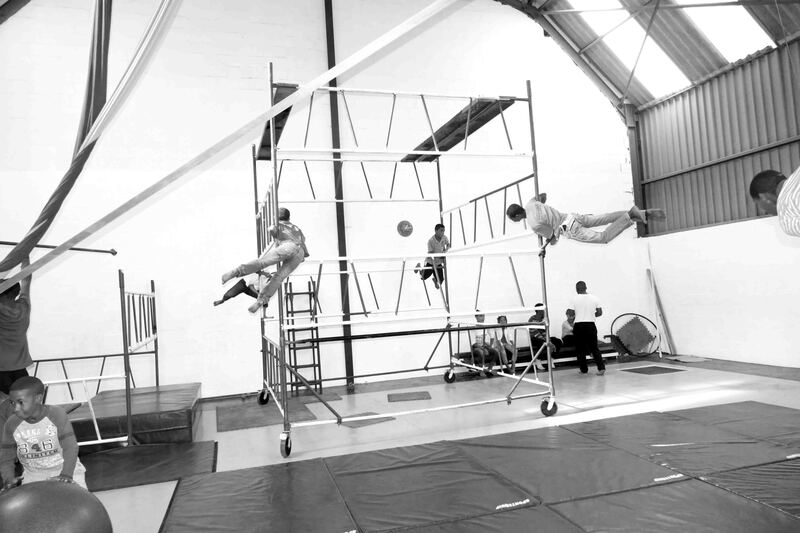 Aerial and trampoline are something new and different that cannot be done alone. The learning of these skills pushes the fear of heights in a safe way. Aerial and trampoline are skills that motivate, encourage awareness and provide hope through realizing that it is possible. Students learn to take care of others and to help rid them of their fears. Through fitness and flexibility students gain body awareness, and build the strength and flexibility in order to progress in circus. Students learn the limits of their bodies. They learn when to stop, when to continue and when a massage is needed. They learn to work with their strength, and to release energy in a positive manner.